I have been contemplating and brooding on some ideas for the year to come. There are so many creative things happening that I thought it would be good to start listing them and getting things organized. So what’s on the roll you ask? Well, quite a few CAL’s and some smaller bits and bobs too. Now it won’t surprise you that I am currently working with the wonderful people from Scheepjes on a new CAL for 2016. I can literally share nothing about the project or the videos I’m working on. Sorry, TOP SECRET. What I can tell you is that it is going to be very special. And as always, all good things are worth waiting for and you will have to be patient for just a little while longer. I announced a few weeks ago that I will be making video tutorials for the Mandala Madness CAL designed by Helen Shrimpton. There are yarn packs available in Scheepjes Stone Washed XL and Scheepjes Merino Soft. All info regarding yardage is available on Helen’s info page. We start the CAL on March 17th, so get your yarn and we can all start a few weeks from now. 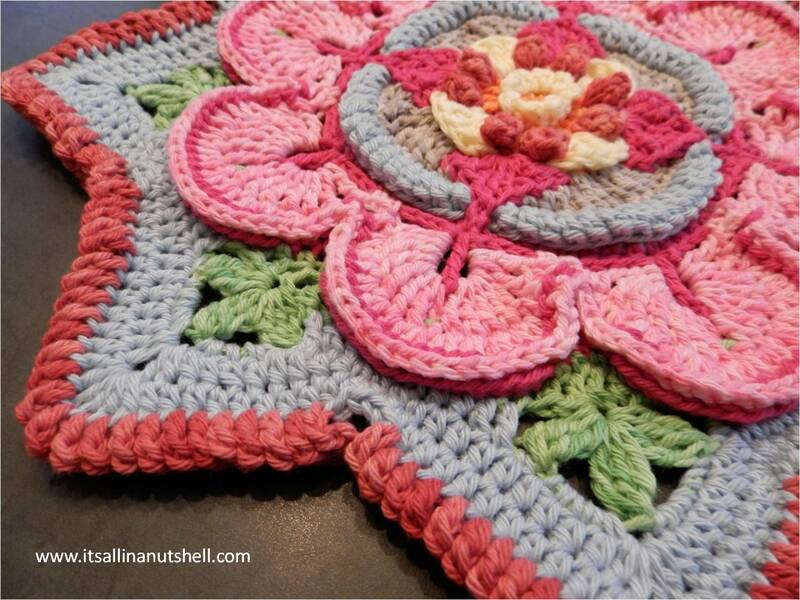 I don’t know if you have seen this, but Annelies Baes has a crochet along in Inside Crochet issues 73, 74 and 75. During the three issues you make a mystery quilt afgan, really unique and different. I am making this afgan using the Scheepjes Color Crafter yarnpack but there is also a Scheepjes Merino Soft yarnpack. Sorry, no video’s this time, just me enjoying to work on a project. Sometimes it’s great to just follow along. Now this is still very, very premature and it will be many months before I am ready to announce anything, but behind the scenes I am quietly working on my own CAL. I have found a number of renowned crochet designers willing to help me build a project and Scheepjes are willing to sponsor me (have I already said that I love these people?). In the second half of the year I hope to announce more. I am going to try a new adventure called Instagram. From now on you can also follow me on my Instagram Account. I am very new to this medium so I am still in the exploratory phase. Very interested to see how I can interact with you even more. Most of my (video) projects are large afgans, but I also want to try some smaller projects. Some just for fun and some for video recording. And then I also have some of my own design ideas I want to try out. To make a long story short, I have too many ideas and projects and too little time. I’m sure this sounds familiar to you too. I am looking forward to a year filled with crochet fun. Are you joining in? There’s always a crochet WIP from where I’m sitting 😉 This year I also hope to do some more sewing, I always loved doing it and I’d love to learn some more. And if I finish all my crochet WIPs at some point in 2016, that would be a bonus! See you in April! My WIPs are still managable at the moment 😀 See you in April! Sometimes I wish I was your neighbour just so I could pop over for coffee anytime and see what you’re up to. Lol. I cannot wait for all the new stuff. All the best. Go Esther, go! Heaps of gratitude to your family for sharing you with us. I’d still be frogging my way through a WIP if not for your help. Thank you, thank you, thank you. How thrilling! Congrats and I’ll stay tuned! Oh my, what an exciting year you have planned! I might join you for the Mandala CAL (if I manage to finish a few of my projects first ^^). I am a bit sad though because I can’t find Scheepjes yarn in Australia and reading you really makes me want to try it, it looks amazing! I might have to stock up when I visit the Netherlands in July!